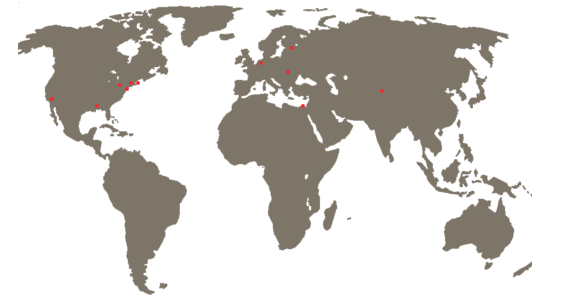 The partnership’s first year examines how two influential roots of modern dance—the African diaspora and Western European dance traditions—operate within contemporary practice and in particular how the education of dancers at American colleges and universities can be reimagined. Leah Cox, dean of the American Dance Festival and Term Associate Professor of Dance at Bard, leads the partnership. 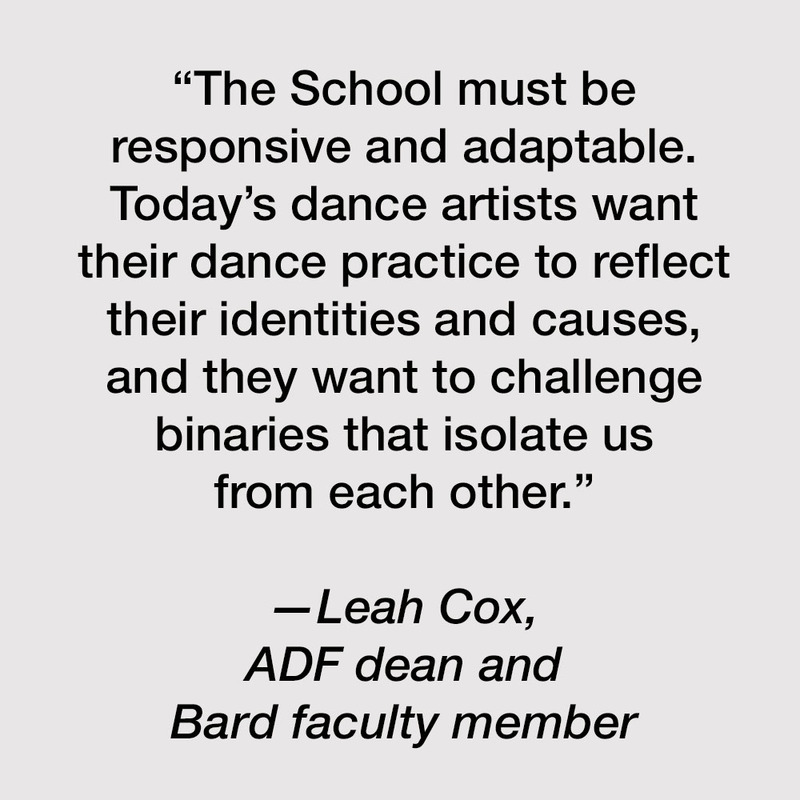 Cox selected ADF faculty that seek to decolonize their classrooms by challenging the way that dance is traditionally taught. 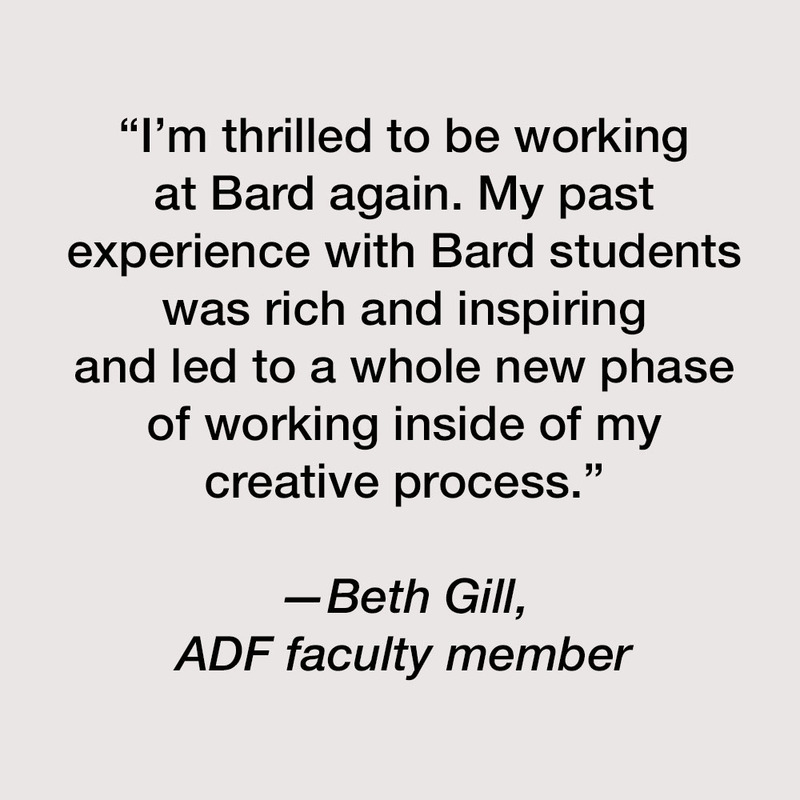 Each ADF faculty member represents a unique area of expertise and presents students with ways to overcome divisions within the dance field or between the field and the world at large. In the fall, choreographer and performer Nia Love cotaught two levels of contemporary movement practice with Cox exploring alignments with African diasporic and Western European dance forms. This spring hip-hop artist Quilan “Cue” Arnold teaches a movement course investigating the practical and pedagogical through-lines and differences between hip-hop and postmodern dance forms. Arnold also teaches a seminar in American popular dance and culture studies. “Bessie” Award–winning choreographer Beth Gill will engage students in physical research toward the development of her next creative project. Gill’s repertory class will ask students to examine how they currently locate an idea of themselves within various frameworks of politics, culture, psychology, family, race, gender, and sexuality. The class will culminate in an informal performance on May 15. B-girl, choreographer, and performer Ephrat “Bounce” Asherie will be the partnership artist in residence. Asherie will develop a new solo, work with students, and present her latest work, Odeon, at Bard’s Fisher Center on April 13 and 14, 2019. The ADF family of artists and faculty has grown to include newer members who engage these contemporary concerns, such as E. Moncell Durden, Gesel Mason, Michelle Gibson, and Abby Zbikowski, in addition to legends in the field like “Baba Chuck” Davis, Gerri Houlihan, Dianne MacIntyre, and Donald McKayle. The School has extended its curriculum to offer a weekly meeting group to discuss race, as well as regular discussions and reading groups on gender, sexuality, and social justice in the arts. In conjunction with its unwavering emphasis on professional training and contact with an international roster of companies and choreographers, these new offerings continue to make ADF an essential destination for dance artists worldwide.